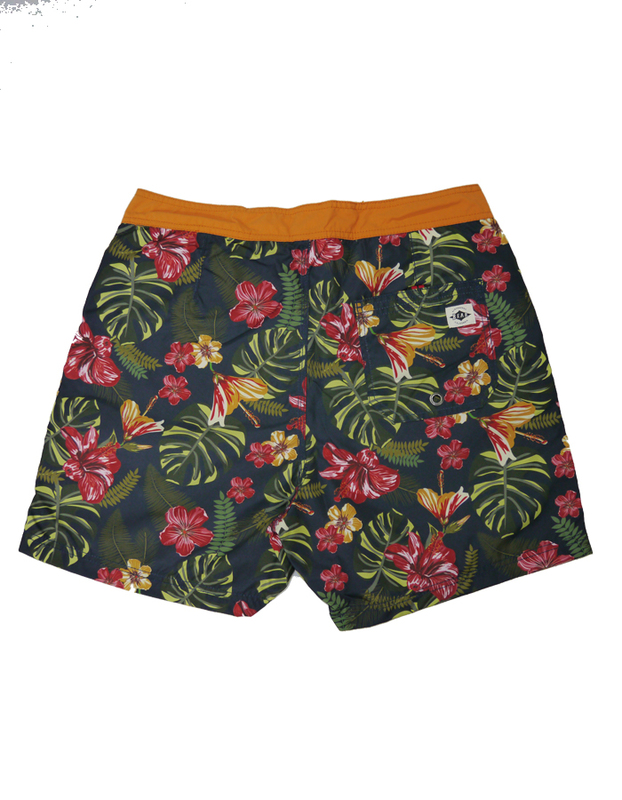 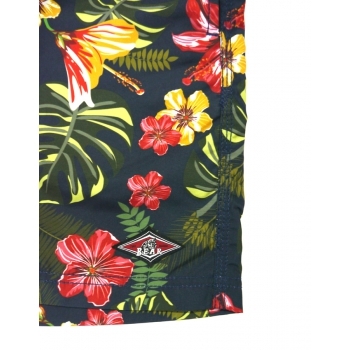 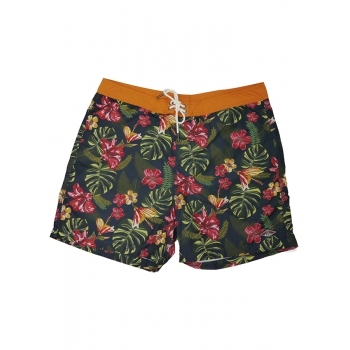 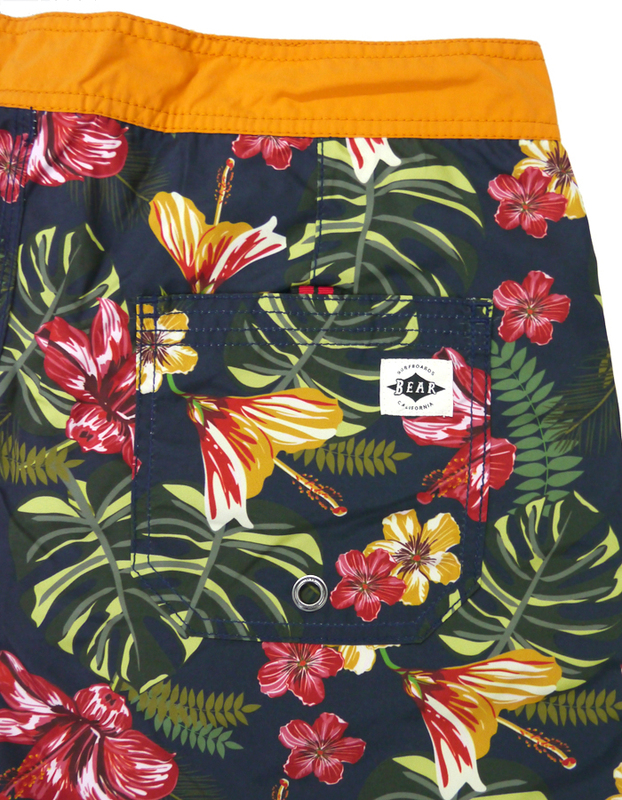 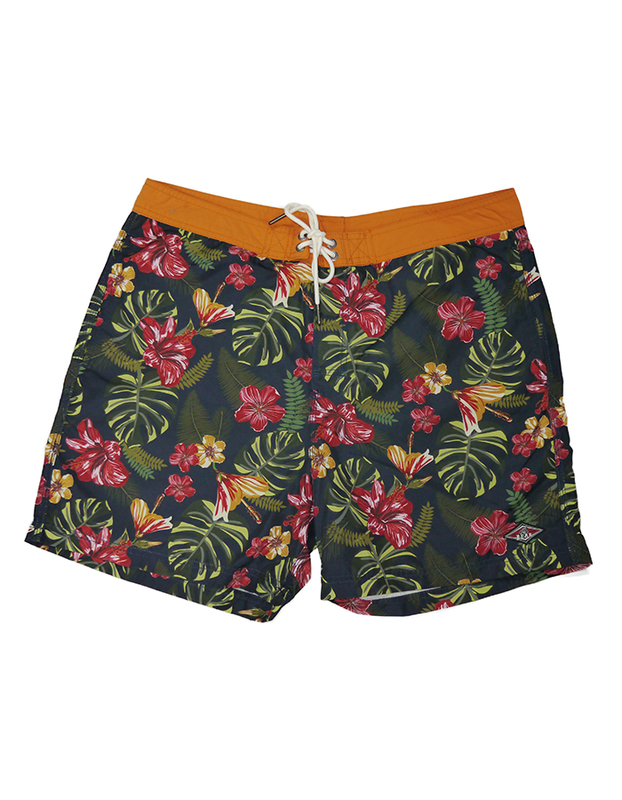 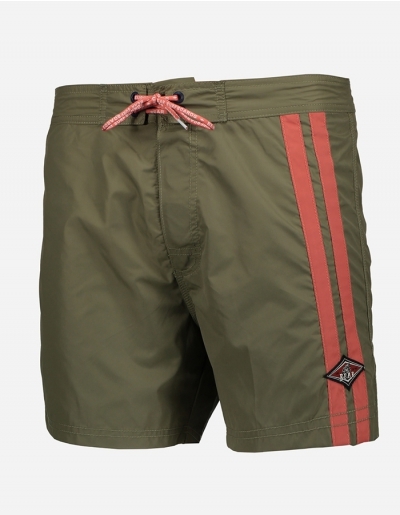 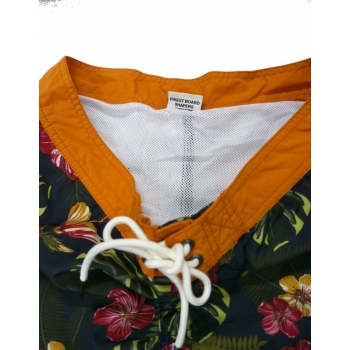 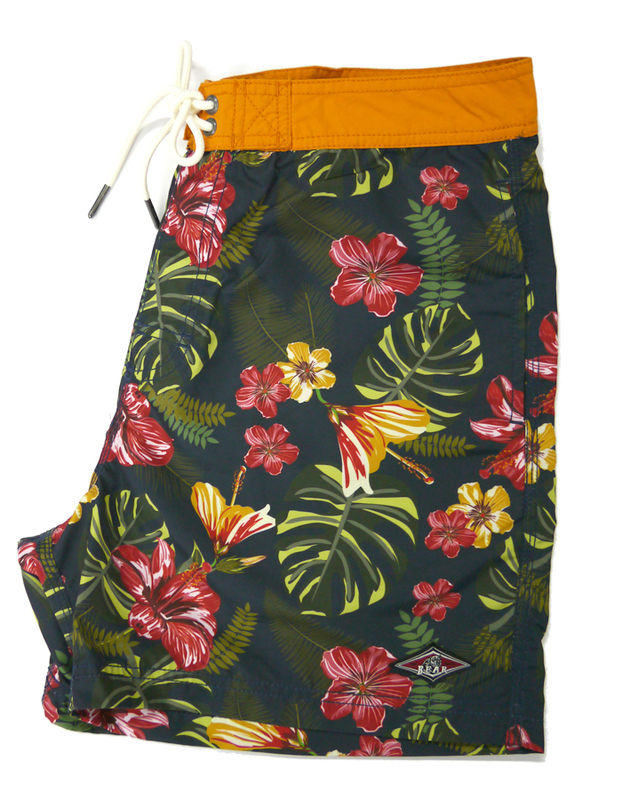 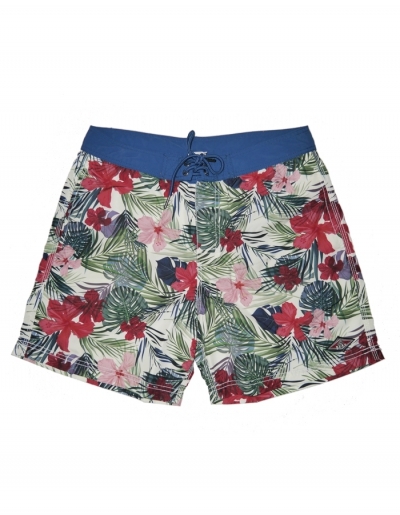 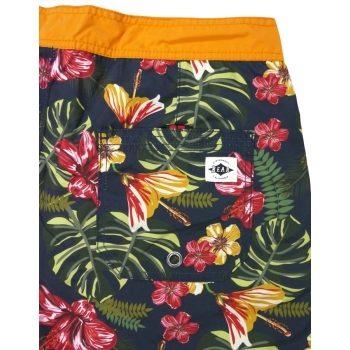 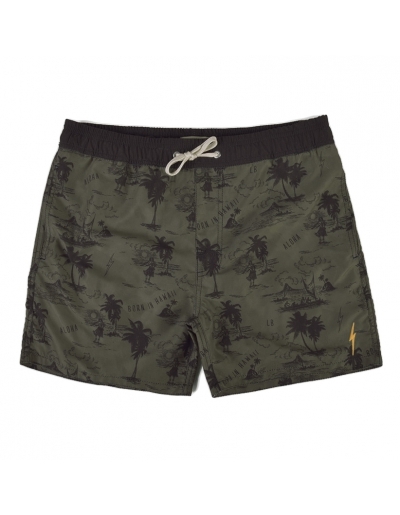 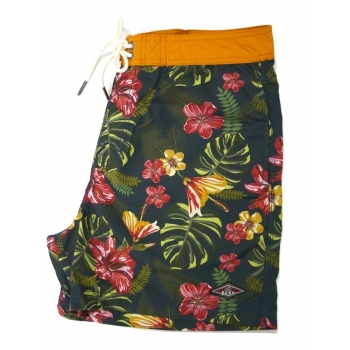 Bear Surfboards shorts, floral pattern with woven logo label applied on left leg. 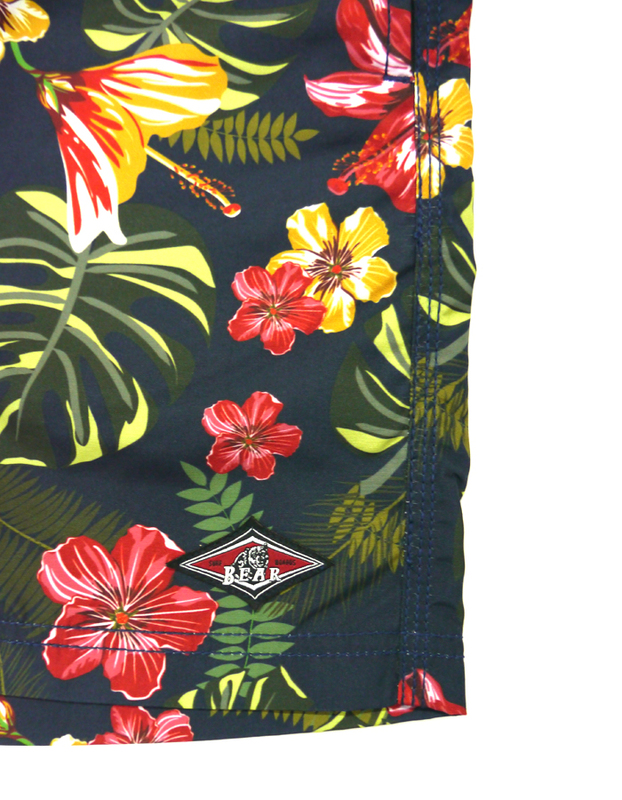 Known by the film “Big wednesday" faithful to the origins, Bear is inspired by surf, sea and the sun. 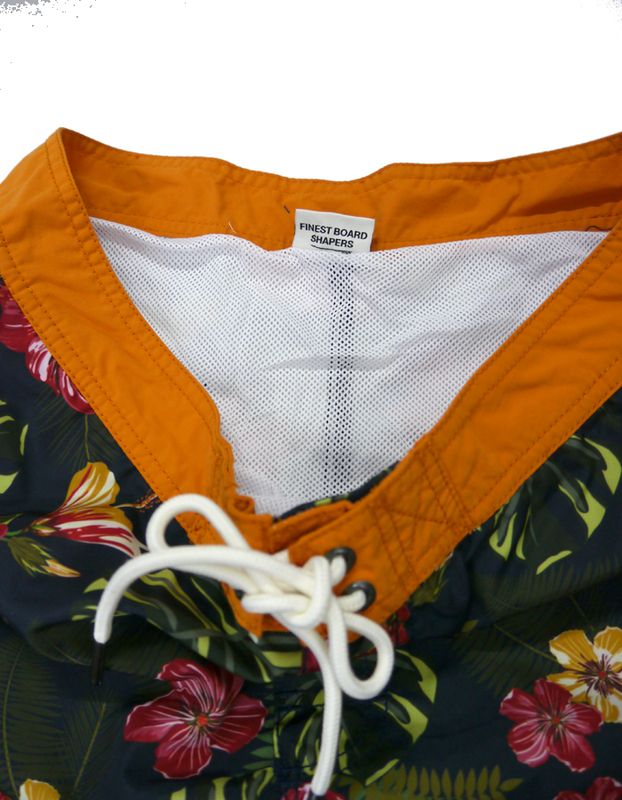 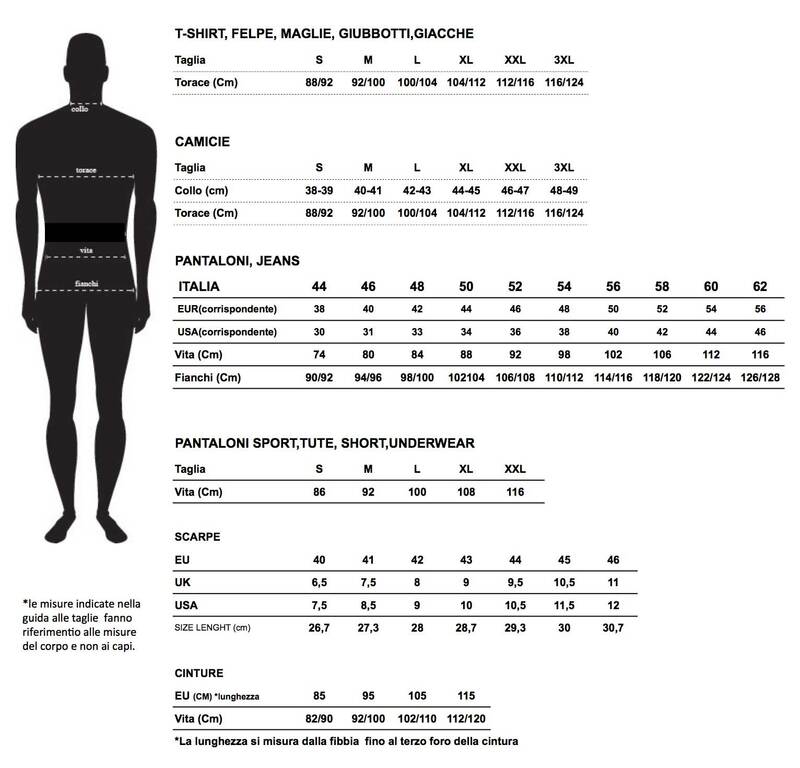 A freedom desire through travel and discovery, comfort, practical and functional clothing. 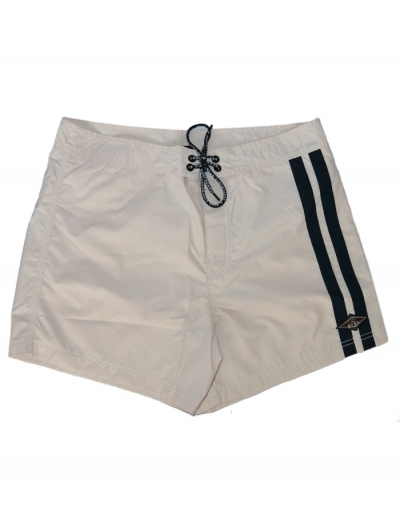 A simple and emblematic outfit.